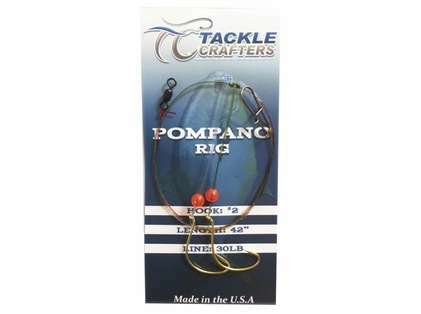 The Tackle Crafters Pompano Rigs are ideal for beaches, piers, inlets, and jetties. These rigs are a staple off the beaches on the East Coast of Florida. ProsHELP TO DOUBLE OR TRIPLE MY CATCH RATE ON SAND AND GULF TROUT . Great item for price. Would buy more at a later date. These rigs work great and catch a multitude of fish in the surf. Not only Pompano, but whiting, Snook, Red Fish, and others hit these consistently. Works great! Great worked first time I used it! I was impressed with these pre-made rigs. I caught over 50 mixed fish from the surf on one rig. I will definitely be buying more in the future. New to surf fishing. Making a trip to Fort Myers, FL and going to do some surf fishing. 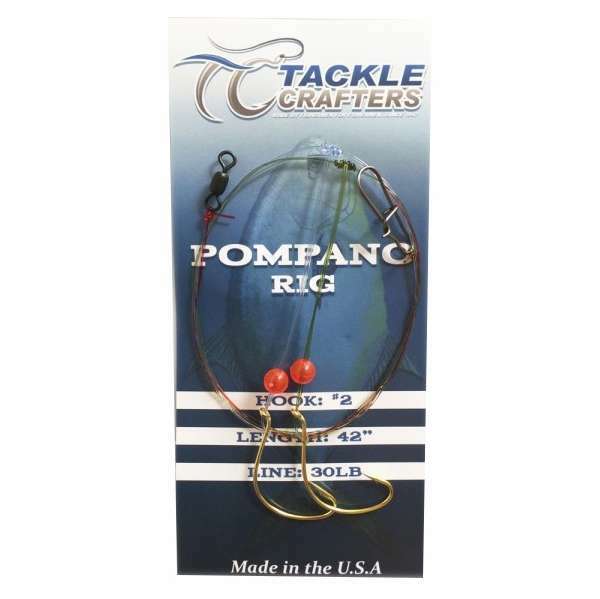 What is the difference in the Pompano Rigs? TCF-0003 Pompano Rig, TCF-0004 Pompano Pro Circle, TCF-0007 Elite etc?